Like a thirsty tree that just needs some water, what is the one thing your church needs right now to bring about greater fruitfulness? NCD started and continues as the largest biblical and empirical research project into the principles of healthy church growth in the world. It is about the non-negotiables of church development when all else is stripped away. 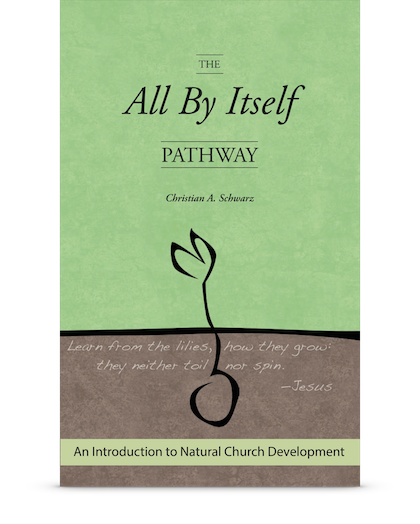 It aims to put a stop to the toiling and spinning that so often pervades church life and replace it with unforced healthy growth based on the lessons we can learn if we take the time to ‘see how the flowers of the field grow'. Rather than conforming your church to a particular model, NCD's principle-based approach brings out the unique identity and purpose of your church so it can be all that God intends it to be. Just like a beautiful healthy forest, a healthy church is unique and rich in fruitful diversity. Aside from the results experienced by churches who have taken seriously the principles uncovered through NCD, one of the strongest and most unusual affirmations of the process is seen in the number of churches who return to the process after some years, often acknowledging they didn't take their results seriously enough the first time. The most common reason mentioned for returning is that NCD is still saying the same things it did years ago. That is, it is genuinely based upon universal principles that, if ignored, will lead only to frustration. But if embraced, will lead to the transformation of your community, sooner than you expect. For those churches, the guiding principles of NCD are some of the few stable, reliable and consistent parts of church life in a changing ministry world.